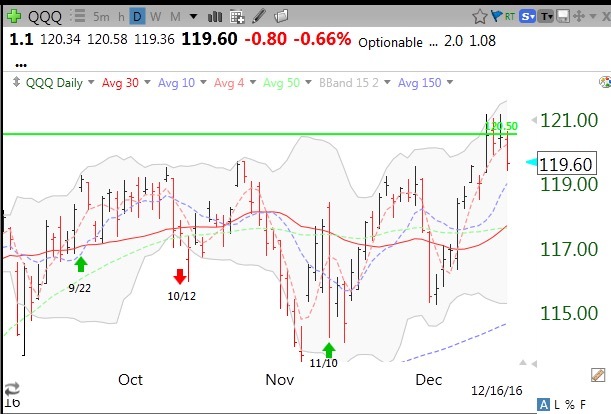 As this daily chart of QQQ shows, at the close on 11/10 the GMI turned from Red to Green. 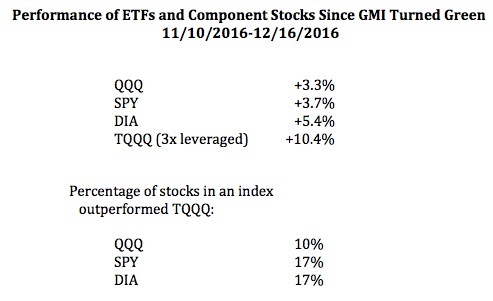 The table below shows how stocks and ETFs have done since the close on 11/10 through the close on 12/16. 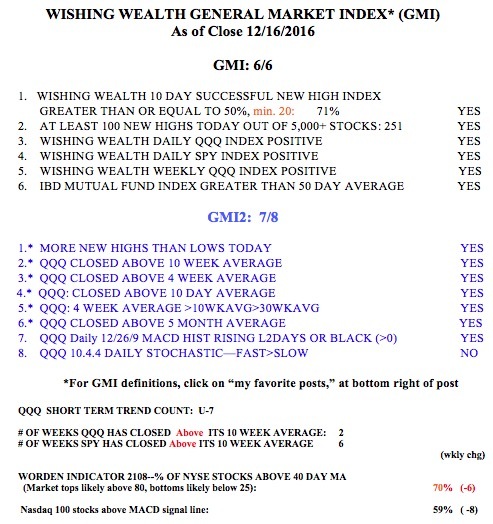 The GMI remains at 6 (of 6). Note in the daily chart of the QQQ above, that QQQ is bumping up against its green line, the all-time peak reached in March, 2000. When (not if) it closes above 120.50, it will be a green line break-out (GLB), and only positive for me as long as it stays above the green line.